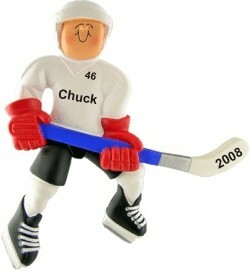 The history of ice hockey begins relatively recently. 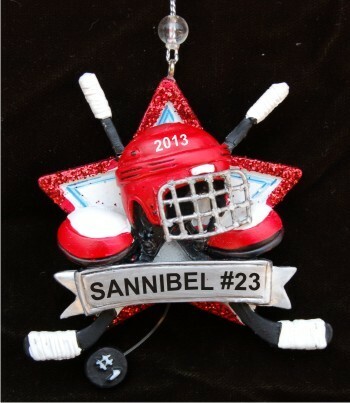 It is generally agreed that ice hockey is a transference of field hockey onto the ice field. 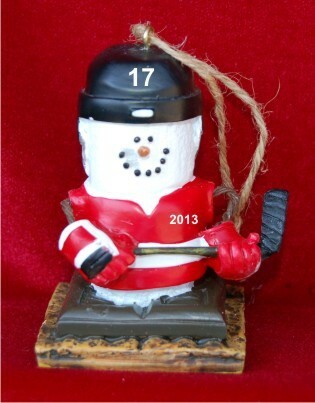 And while field hockey dates from pre-Christian times, the first recorded ice hockey game occurred in 1875 in Montreal at the famed Victoria Skating Rink. 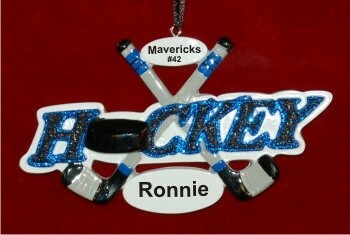 Two years later, the first hockey club was founded in 1877. 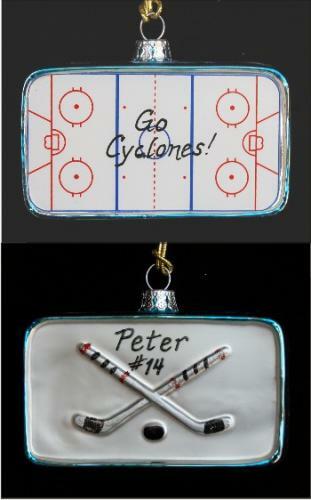 The game quickly spread from Canada down south to the USA, and yet in the same year Oxford University records its first ice hockey club and foundation. 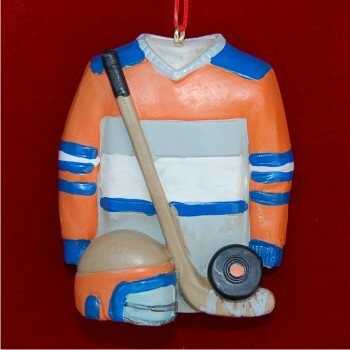 The first professional association was founded in Montreal in 1902 as the National Hockey Association, and then reorganized in 1910 as the National Hockey League. 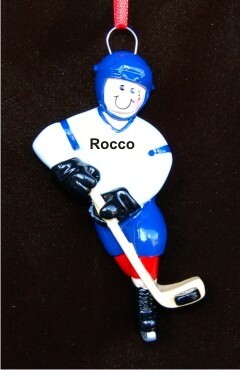 Ice hockey gained international fame after first presented at the Winter Olympic Games in Belgium in 1920. 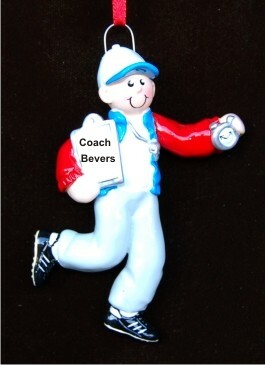 Since then, professional teams, college teams, and high school teams all celebrate this rich history and love of the sport. 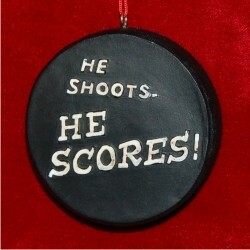 In that spirit, we offer hockey ornaments that can be personalized for your favorite hockey player. 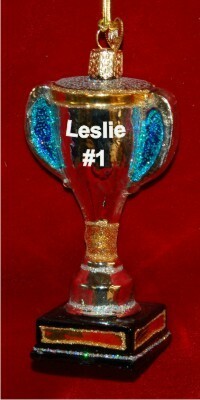 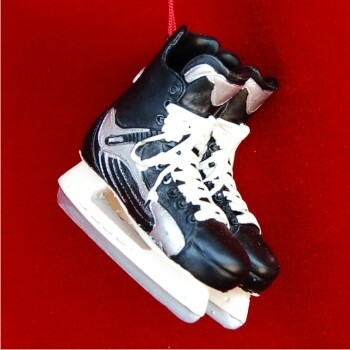 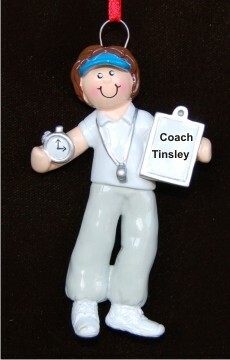 We offer both boy and girl ice hockey ornament styles, as well as professionally outfitted designs. 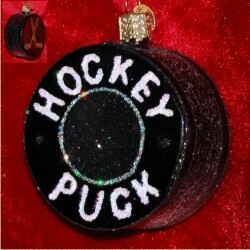 All of our hockey Christmas ornaments arrives in our velvet pouch, ready to make a great personalized gift. 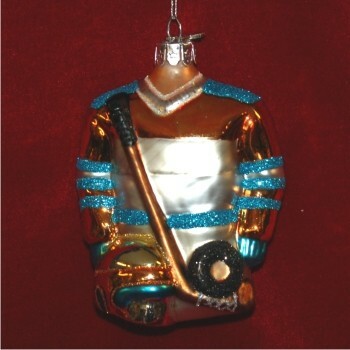 If you're looking for ice hockey ornaments in bulk for a team, please click on the Contact Us link at the bottom of this page in the blue banner. 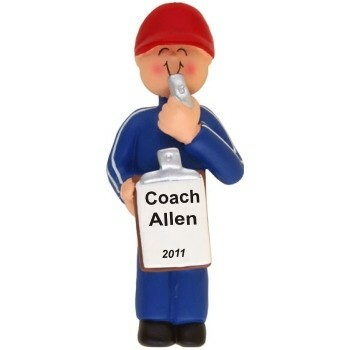 We're happy to arrange a discount. 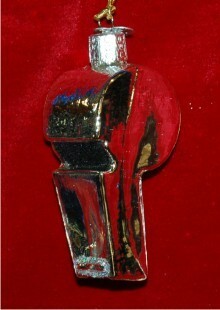 Packages usually begin around 18 pieces. 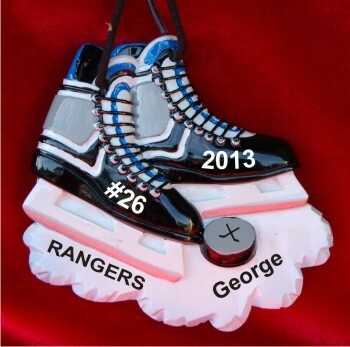 Please send us your details, and we'll be happy to build a custom hockey ornament package specific to your needs.